Hey cookbook fans! I have a new cookbook, yet to be released from Gooseberry Patch. 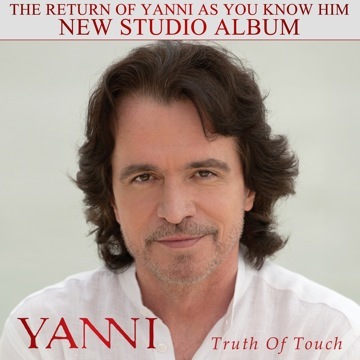 It is set to be released mid June. I will be doing a giveaway and reviewing some of the tasty recipes over the next two weeks! I need your help! There are 6 chapters in the book and 224 yummy pages. The top 3 chapters that you tell me you want to know more about is where I will cook from! If you participate in the voting, I will give you bonus entries into the actually giveaway. Just leave a comment below on your top 3 choices. Welcome to Follow Friday! My hop is very easy! Follow Me, leave a comment on how you are following me and I will follow back! Leave your link to anything you want- your blog, Facebook, Twitter, Favorite post, Giveaway,etc. Up to you! Either way I'll come visit! If you want the button it is down at the bottom of my blog so feel free to use it on your blog. This week I'm going to pick a random blog that linked up to co-host with me next week. So link, follow and comment! That simple! While you are here check out my newest favorite Avon Consultant, Helen's Habitat ! She is a fun & energetic and wants to offer one of my readers lipstick! I'm a huge lipstick wearer and Avon has a Healthy makeup line. I tried the line for lips that comes with a lip conditioner. The Healthy Make up line has "beauty with benefits" which include extra moisture, smoothness and radiance. The lipstick has vitamin A, E & B Complex and SPF 15. 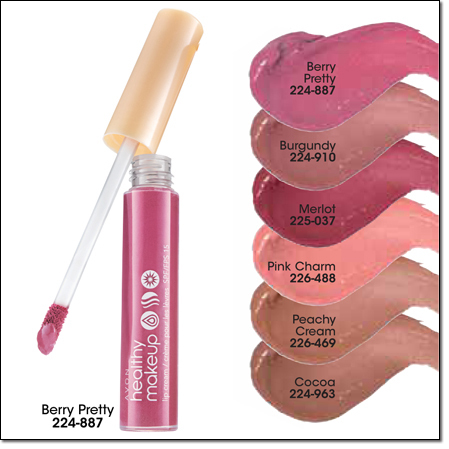 You can get the Healthy Make up lipstick in tube form or lip cream that comes in lip gloss form. I personally love wearing both types of lipstick. For my review, I tried the lipstick tube. 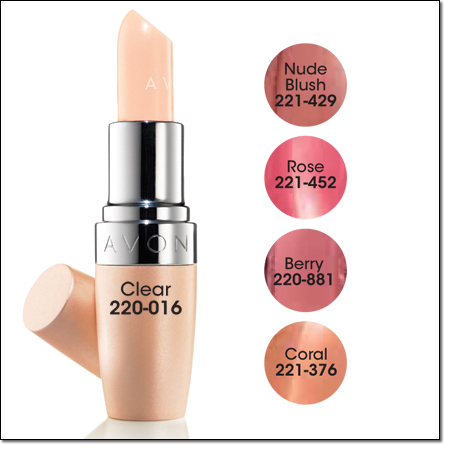 It is a very smooth, soft lipstick. I love the medium coverage and no feathering. Perfect for me! How about you? Which would you choose? 1) Follow my blog via Google Friend Connect, Facebook, Twitter or Networked blogs. All ways to follow are on right side bar. 2 entries for each follow and leave separate entries for each one! 2) Go check out Helen's Habitat blog, it is new, and leave a comment on one of her post. Come back here and let me know where you left your comment. This is unlimited and you get 2 entries per comment. 3) Link up in the below U FOLLOW ME FOLLOW U link up for an extra bonus entry! Leave a comment so that I know you linked up! The winner will have 24 hours to respond to the email at the close of the giveaway to receive it by Mother's Day. The article was provided by Consumer Savings Expert, Andrea Woroch. She is available to share "How to Throw a Royal Wedding on a Pauper's Budget" with your audience for an in-studio, satellite or skype interview. Andrea has been featured on NBC's Today Show, FOX & Friends, MSNBC, ABC News NOW and many more as a media expert source. To view recent interviews or find more information, visit AndreaWoroch.com. No compensation was provided. Have a favorite CHICKEN recipe? Shared by Nancy Wise from Little Rock, Arkansas, this recipe makes such a flavorful dish for your family and it's special enough for company too...they'll never know how easy it really is! If you leave a comment to let me know how you are following me I will follow back! Thank you. On a personal note from The Scraps of Life Book Club, we loved the books. I didn't realize until I was writing the review that these books came out in the 1970s. I grew up in the '70s so I think that is why I loved the books! Arleta is a cute and lovable little girl who gets caught up into what her grandma did as a little kid. I love the message and morals in the book for little kids. These are easy books to pick up and read a few chapters at a time. 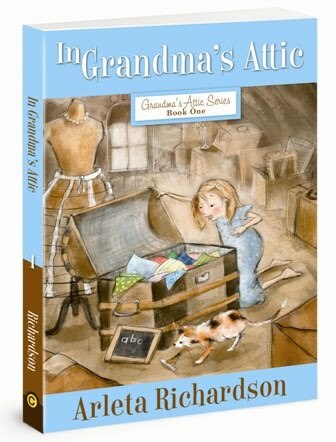 These books would make great gifts for new parents and up to middle elementary kids. Crooked or Straight? Do you want something to SMILE about? What do you see when you look in the mirror? Do you see a crooked or a straight smile? If your smile is crooked how does it interfere with your daily smile quota? I've never had crooked teeth but my daughter did and all her smiles were closed mouth smiles. During her dental check ups, the dentist said that she didn't "need" braces. This meant that her crooked teeth were livable and no major mouth structure issues. It was obvious to us that she never smiled with her teeth as you can see in the above photo. So her issue wasn't structural but more emotional. As a family, we were unsure at how much it would cost to put braces on our daughter. It seemed like this cost was coming right about the time we needed to add another car because two teens started driving! We finally bit the bullet last summer and took her in for a consultation with the Orthodontist. He could tell right away that her problem wasn't major and that she could have a beautiful smile with the help of braces. We have been amazed at how well she is doing with her braces. Braces have taught her to be more responsible. She has to watch what she eats and works to clean and care for them as instructed by the orthodontist. In a few months she will have her braces off and she will keep on giving us a toothy smile! Now that is SOMETHING worth smiling about! Are you in the same situation for yourself or for one of your children? I strongly suggest that you set up a consultation with your local Orthodontist and just see what can be done. We found that the problem wasn't as bad as we thought and that our insurance did cover some of the cost. Right now you can go to braces.org and download a free coupon for a consultation to participating AAO orthodontist. What a great deal! This will give you a little bit of an incentive get that appointment scheduled. While you are there printing off the consultation coupon, check out their informative website. You can get the scoop on why you straighten teeth, scheduling an orthodontist appointment before age 7, when to call as well as myth & facts about braces. So what are you waiting for? Don't you need something to smile about? Who needs a consultation in your family? The new building blocks for learning in a complex world. This important resource introduces a framework for 21st Century learning that maps out the skills needed to survive and thrive in a complex and connected world. 21st Century content includes the basic core subjects of reading, writing, and arithmetic-but also emphasizes global awareness, financial/economic literacy, and health issues. The skills fall into three categories: learning and innovations skills; digital literacy skills; and life and career skills. This book is filled with vignettes, international examples, and classroom samples that help illustrate the framework and provide an exciting view of what twenty-first century teaching and learning can achieve. 21st Century Skills: Learning For Life in Our Times by Bernie Trilling and Charles Fadel is a tutorial designed to help teachers in today's world teach children to function successfully in our modern society with all of its varied media communication options. In the beginning of the book, the authors explain that children continue to be taught today in the same ways they were when the United States was an agrarian society. Children are taught a basic curriculum, tested to see if the information was absorbed, and then never taught to actually use this learning in an effective way in the modern world. The authors believe the ability to use information in conjunction with technology is as important as learning basic skills in math and phonics. with others and work respectfully in a team. As a home school educator, I find the ideas proposed in this book to be very interesting. I can specifically appreciate their ideas regarding children learning to collaborate with others to complete a project with a specific end goal, and the importance of a challenging learning environment. After all, the simple fact is that we teach children in order to help them become adults who are contributing members of society, not to have a series of learning objectives checked off of a list. I would recommend this book to anyone who is willing to think outside the box, educationally, and also to anyone who is struggling to understand why they can't seem to apply their very real employment skills to a job in 2011. This book was provided by the sponsor in return for a blog post written with our own thoughts and words which is what we did. We reviewed this book last week. Click HERE to read the review. Below you will find an interview with the author, Denise Hunter. Enjoy! Q: Have you always wanted to be a writer? When did you first begin to write? I’ve always been an avid reader, but I didn’t start dreaming about writing a novel until I was in my early twenties. By then I was married and busy pursuing a degree. I put writing on the back burner until my grandfather became fatally ill. While I was visiting him in the hospital, I was struck by the brevity of life and felt God pressing on my heart to take the first step. I started my first novel a couple weeks later. I had two small children by this time, so I wrote while they napped. I wrote my first four books that way. Even if you can only write a page a day, by the end of a year you’ll have a complete manuscript! Q: Are you a small town or a city girl? What inspired you to write a book about the life of a cowboy? I’m a little of both. We live in a country setting just outside the city. It’s the best of both worlds. There’s something very earthy and organic about a cowboy’s life. I was drawn by the idea of living off the land. I think it takes us to a simpler time and place—even though the life of a cowboy is not necessarily simple! And Montana is such a beautiful state. I thought my readers might like to journey there with me through story. Q: Can you tell us a little about what you have learned about the cowboy lifestyle while doing research for this book? I learned a lot of fascinating details about the workings of a ranch: branding, breeding, cattle disease, etc. But what I came away with is a great respect for cowboys and their families. Those who choose this way of life do it because they love it. It’s not easy, and it’s not for the faint of heart. Q: Abigail’s title at her job is “the Truthseeker.” What is the significance of this title, and what do you think a real truthseeker does? I thought it would be interesting to write about a protagonist whose job was to seek the truth and have her find out that she was missing the real Truth the whole time. Since Jesus is the Truth, a real truthseeker follows Him. Q: Forgiveness seems to be a recurring theme in your books. Why do you feel it is so important? Your main characters both dealt with forgiving their past mistakes. Do you think that it is just as important to forgive ourselves as it is to forgive the mistakes of others? With sin rampant in all of us, this is something we need to get good at! Eventually, someone’s going to do something you struggle to forgive. I think this is partly because forgiveness is easily misunderstood. It’s not saying that what they did is okay. It’s saying that you’re not going to hold it over them anymore. I do think it’s just as important to forgive ourselves as it is to forgive others. Oftentimes, it’s even harder. Q: Abigail and Wade both threw themselves into their work in order to escape their pasts. Do you believe it is easy to find an escape in work in order to hide from our problems? No one likes to hurt, so I think the tendency is to avoid it however we can. Throwing ourselves into our work is certainly one way of doing so. But these things have a way of bubbling up to the surface eventually, no matter how hard we try to avoid them. Q: What would you like your readers to take away after reading A Cowboy’s Touch? Abigail was essentially trying to work off her guilt. She thought if she could just keep exposing other peoples’ wrongs, it would appease her own guilt. I’d like readers to see that only God can redeem us. Easter always means PAAS Easter Egg decorating kits in our household. How about yours? My 12 year old learned "How to Boil an egg" this year. She already knew "how" to boil an egg from watching & helping me in the kitchen but I wanted her to actually know how to do it on her own. I opened up Joy of Cooking and had her read all about boiling an egg. She boiled her eggs and then decorated them using the PAAS Egg decorating kits. They are so easy to use and you don't need hot water or vinegar to dye them. We found out that they had a lot of new kits this Easter Season. The kits come in a wide variety of "creativity levels." If you want simple, they have simple. If you want a kit with paint and glitter, well they have that one, too! Here are some of the cool creations! These are some tasty eggs! The PAAS Kits are available at major grocery, drug store and mass merchandiser chains nationwide with a suggested retail price of $2.99. Go find some fun and do a little Kitchen 101 with your kids! These kits were provided for us to review. It in no way reflects our opinions expressed here! We love these kits and use them every year. Yum Yum! How I love using my Crock Pot, Slow Cooker, etc. Either way, or whatever you choose to call it there are zillions of tasty recipes for you to find and use. Here is the Gooseberry Patch Link up for the week! Link up your recipes and/or find some new ones! it's our Cookbook of the Week this week! Shared by Katie Majeske of Denver, Pennsylvania. She writes, "What’s more comforting than warm apple crisp? I often make this for work, church, potlucks or family." Toss together apples and cinnamon. Place in a slow cooker that has been sprayed with non-stick vegetable spray; set aside. Combine oats, brown sugar, flour and butter; mix with a pastry cutter or fork until crumbly. Stir in pecans and toffee bits; sprinkle over apples. Cover and cook on low setting for 4 to 6 hours. Top with whipped topping, if desired. Makes 10 servings. I linked up Beer Chicken and it ROCKS, Pizza Soup, Italian Sausage & Peppers and my hubby's Middle Eastern Spicy Lentil Soup. My name is Susie and I am known as a Susie Homemaker. I prefer being called that over being called "Lazy-Susan" which you all know is the turn-table-spinney-thing that gets placed in the center of tables. I really do like being called Susie Homemaker because I love my family, my home and playing house. I LOVED Home- Ec class in Jr. High. I even wanted to take it in Sr. High but I couldn't squeeze it in my "college prep" studies, yeah right, whatever. So where am I going with this? Well I had the opportunity to review the hot little dish of a book, Home-Ec 101: Skills For Everyday Living by Heather Solos. I knew by the cover (yes, sorry I do judge a book by its cover) that I had to read this book. I love the 50s look of the cover and I have taken the era quiz and I am a 50s lady. When I read the bio on the author, I really felt as though she was my long lost twin. I've never bumped into her but after this review I'm going to start stalking her online (haha.) Really, at least I'm honest, right? Section 1: Clean It- Here you will learn about what tools you need an the chemistry of cleaning, making a schedule (I'm accused at times that I'm Mz. Organized, but really I am not. I just don't let people see me sweat- most of the time.) floors, kitchen grease & grime, bathrooms, windows, bedrooms and dust mites which is creepy. Section 3: Fix-It- The bare minimum handyman guide, good appliances & avoid minor meltdowns, plumbing (which I do not care to ever do but I will gladly clean the bathroom) throw rug & walls and repairs. Section 4: Cook-it- Burned water, kitchen set up, recipe rundown & deciphering, pantry principles & the Zombie Apocalypse which I never knew went hand-in-hand, meal planning (so good to know I'm not a FREAK) and substitutions. I loved the entire book. I really thought that the book would be too basic but it wasn't. Ms. Solos (my long lost twin) supplied a lot of basic information which, even Susie Homemaker appreciated. I already told my girls, 12, 16 and 16 that this is this new school book as I am their Home-Ec teacher. The book easily shows me what to teach them and how to go about doing it. I loved the "Make It Manageable: Flexible Scheduling" which is something that I tried one time and then gave it up. I don't see me ever following it but it would be great for someone who needs discipline. The Appendix includes Homemade Cleaning Solutions, Dangerous Chemical Combination's, Emergency Preparedness Checklist ( I needed this even though I have been in many hurricanes and storms) and Measurements Conversion Charts. I find these type of charts very helpful. I knew most everything in the Cook-It Section and read it several times just because I'm nerdy that way. I really love how easy the book flows and I feel all "equipped" and ready to teach my daughters Home-Ec. This book would make a PERFECT present for a new mom, bridal shower, teenager, college student, nerdy housewives and even for a bachelor. I hope you will pick up this book and look through it. It really is a wonderful. Thanks to the author and One2One Network for providing a copy of this book for me to review. My own tasty words & opinions are expressed here. A little girl discovers that prayer is more than a bedtime ritual; she can talk to God anytime, in any place, and about any thing. As a little girl says her bedtime prayers, her mother asks a simple question that sparks a powerful discovery: "You know we can pray to him any time we want to, right?" With that, the little girl suddenly finds things to talk to God about everywhere-in her garden, in a friend's backyard, and on the soccer field. The girl's prayer life will never be the same. That's When I Talk to God is a sweet story that will deepen the prayer lives of children four to eight. 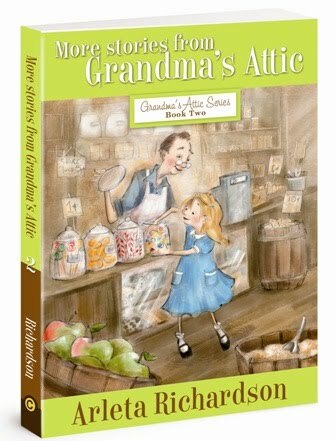 This charmingly illustrated tale steps beyond explaining prayer and models constant communication with God. 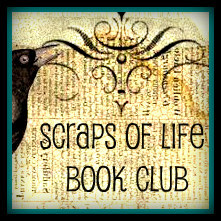 Scraps of Life Book Club: What an adorable book! The daughter is taught by the mother on how to pray. The little girl was surprised to learn that you don't just talk/pray to God at dinner or bedtime. She learned that you can call upon in Jesus name to ask for forgiveness, strength, courage and more. The Mom teaches the daughter that God teaches us thorough those in our life as well as His word in the Bible. Mandatory Entry: Tell me who you want to read this book to and follow my blog via Google Friend Connect. This gives you two entries into the giveaway. Leave an email address with this entry in the comments. *Follow my blog with Twitter, Facebook, Email subscription, RSS Feed or Networked blogs. Each worth one entry and leave a separate comment for each one that you do. Thanks to The B & B Media Group for the review copy. The words expressed here are the Club's own words and opinions. Read it for yourself to form your own opinions! Set amid the giant trees of northern California’s magical Lost Coast, Wrecker is the story of a nearly broken boy who unexpectedly finds a family. After foster-parenting four young siblings a decade ago, Summer Wood tried to imagine a place where kids who are left alone or taken from their families would find the love and the family they deserve. For her, fiction was the tool to realize that world, and Wrecker, the central character in her second novel, is the abandoned child for whom life turns around in most unexpected ways. It’s June of 1965 when Wrecker enters the world. The war is raging in Vietnam, San Francisco is tripping toward flower power, and Lisa Fay, Wrecker’s birth mother, is knocked nearly sideways by life as a single parent in a city she can barely manage to navigate on her own. Three years later, she’s in prison, and Wrecker is left to bounce around in the system before he’s shipped off to live with distant relatives in the wilds of Humboldt County, California. When he arrives he’s scared and angry, exploding at the least thing, and quick to flee. Wrecker is the story of this boy and the motley group of isolated eccentrics who come together to raise him and become a family along the way. Scraps of Life Book Club: The first thing that I thought of when I heard the title of this book, Wrecker, was not that it was a name for a child. I figured it was about something bigger, like a train wreck that changed everyone that was involved. It turns out that this book was about a child named Wrecker who was a train wreck and he DID change the lives of those involved. This little guy was born to a young mother who delivered him in a public park of all places. At that moment I thought, someone needs to adopt this little boy. That did happen but not for several years later. Wrecker lived his first year without a permanent name. His mother finally named him Wrecker because he wrecked things. His mother, Lisa, did the best that she could with what she had. She loved Wrecker and cared for him but in the end, her lack of parenting skills and resources took over and she got caught up with the wrong crowd that landed her in jail for a 15 year sentence. This, of course, put Wrecker in the public system. This little angry, untrained bundle of energy, lived up to his name. He wrecked things and didn't have a stop button. The author, Summer Wood has the background of foster-parenting four young siblings. She knew the system and that led to the writing of this book. I loved her descriptive writing style of the characters and events throughout the novel. She made everything so real. Sad thing is, we all know kids that get caught in the system and have heard of kids like Wrecker. Ms. Woods takes this little wrecker and puts him into a family that wasn't a family by conventional standards. 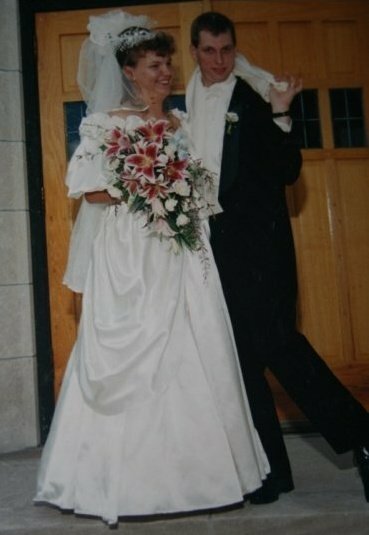 It was this type of family that he needed to get unconditional love and support. I won't go into details and spoil the book but the boy was compared to the likes of a dog. He attached himself to those who fed and showed him attention. This really tore at my heart and I knew at that time that this hippie, unconventional family knew him and would be able to break and train him. Summer Wood is the author of WRECKER, pub. date from Bloomsbury in February 2011. Her first novel, Arroyo, was published in 2001 by Chronicle Books. 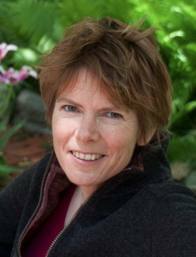 She lives in Taos, New Mexico, and writes a blog at www.thewhereofit.com. Connect with Summer on her website, www.summerwoodwrites.com. Mandatory Entry: Please follow my blog with Google Friend Connect (right side bar) and leave your email address. 1) Follow my blog with Twitter, Facebook, Email subscription, RSS Feed or Networked blogs. Each with a entry and leave a separate comment for each one that you do. 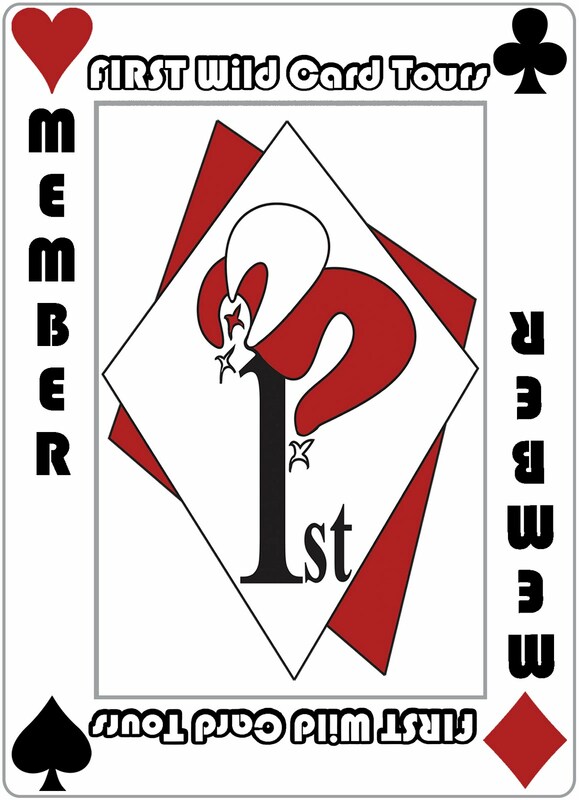 2) Visit the author at www.thewhereofit.com and/or www.summerwoodwrites.com. Come back here and leave a comment on something you learned. 1 bonus entry for each comment that you leave. Thanks to the publisher and TLC Book Tours for providing a copy of the book for my participation in the Blog Tour as well as a giveaway copy to one of my readers. Click, HERE, to see what others are saying about the book! I'm the first on the tour. My husband loves Eggs Benedict and I can't remember the last time I made them for him. The calorie count is pretty high up there. Thanks to The Motherboard, I have a new recipe to try out on him that is "guilt-free" because it uses yogurt instead of butter! 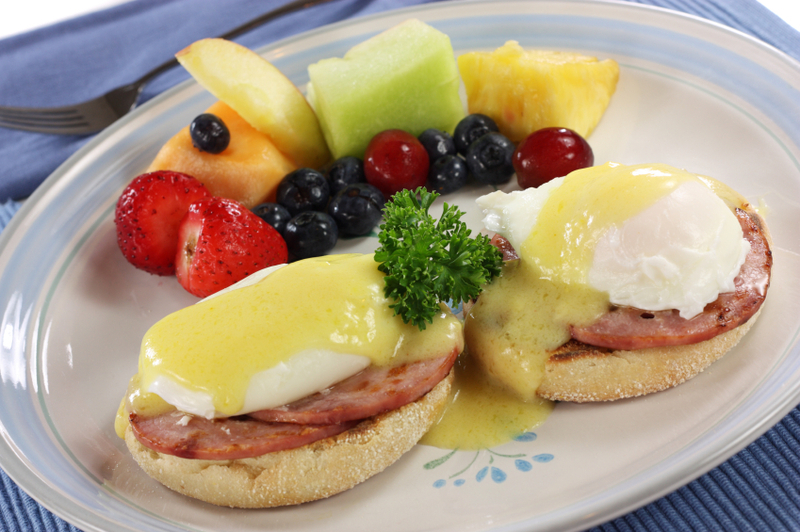 How about you, do you ever make Eggs Benedict? National Eggs Benedict Day is April 16 – Take this brunch fave to a whole new level…and make it a family and friend celebration at any meal on its own holiday! Check out these two delicious recipes that put a twist on the traditional! And don’t forget about Easter brunch! The recipes below can be a perfect addition to your Easter menu as well! 2. In a small saucepan, over very low heat, combine yogurt, dry mustard, and season with the salt and cayenne pepper, whisking continually until warm. Be careful: if you overheat, your yogurt will curdle. 3. In a pot of boiling water, add the vinegar and reduce heat to a low simmer. Crack one egg into a small bowl and very gently add it to the simmering water. Repeat this for the second egg. Simmer for 3-5 minutes until the egg is completely coagulated and the yolk looks slightly opaque. 4. In the meantime, toast the whole wheat English muffin. Assemble by placing the toasted muffin on a plate. Top with a piece of the Canadian bacon, a poached egg, and then top with the yogurt sauce. Sprinkle lemon zest and chopped parsley over each egg. Enjoy. (OVER) Hi blogger friends! I'm hosting an Easter Bunny Photo Blog HOP Contest. This is so easy! All you have to do is post a picture of any Easter bunny on your blog, add your name to the link below and link your post back to this contest post!!!! You can take the photo or find one on the internet! *IF YOU already have a bunny posted on your blog, link up that post!! It can be off food, toys, etc...anything bunny! THAT SIMPLE! For everyone who does those 3 things I will be picking three winners!! First winner with the CUTEST Bunny will get an Easter Basket of Candy and Books! Second Winner with the MOST UNIQUE Bunny will get an Easter Basket of Candy and CD's. Third and final Winner with SCARIEST Bunny will get an Easter Basket of Candy and Toys! Ends 4/24 USA/Canada. The winners will be picked by my expert Chicks. 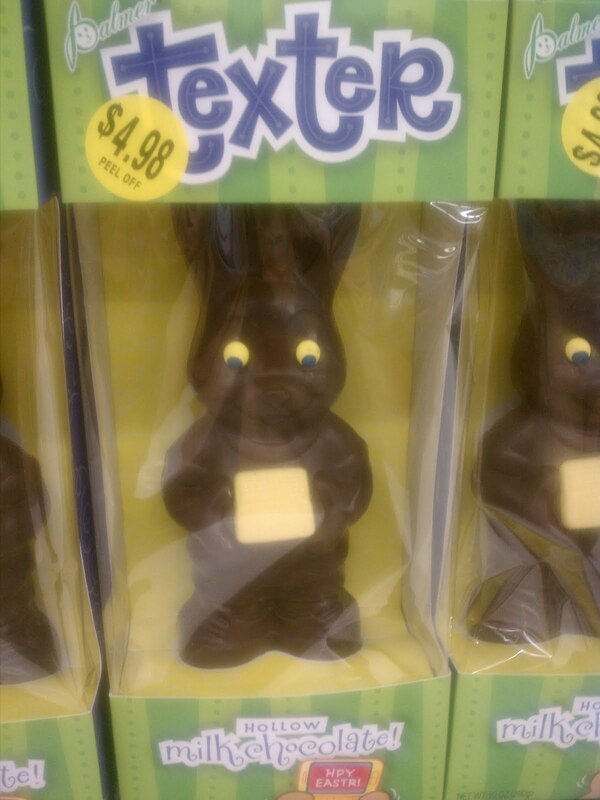 Do a quick blog post with a picture of an Easter Bunny. I'm looking for Cutest, Most Unique and Scariest! Make sure you include a link back to the contest on your post!